Complete the Mission...or Face Erasure! In the crowded chaos of Tokyo, players of the Reapers' Game must complete daily missions or face total erasure. Neku might not be enthusiastic about forging relationships, but with his very life on the line, he'll need to learn how to work together with a partner—and fast: they only have seven days. Gear up with stat-enhancing threads and collect mysterious pins to unleash psychic abilities in battle. Take control of real-time, action-fueled RPG battles using touch controls or Joy-Con™ controllers. The definitive version of this modern classic is finally here. 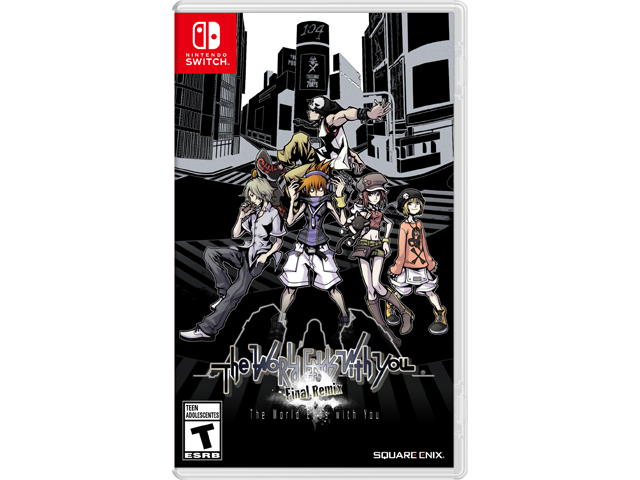 New remixed music tracks, new enemies, and hours of additional content—all exclusive to The World Ends with You: Final Remix!